Kutab (qutab, кутаб) comes from Azerbaijan: a Turkic country on the western shore of the Caspian Sea, formerly part of the Soviet Union. Although they don’t share a border, Azerbaijanis can understand Turkish and vice versa to some extent. 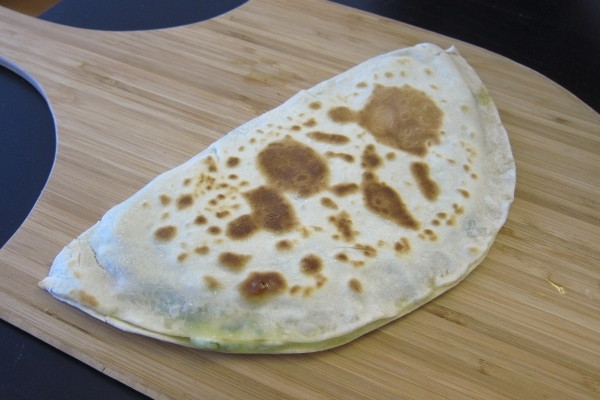 Kutab is a wonderfully simple dish that makes a great brunch: thin dough stuffed with filling and grilled on a saj (or in my case, a frying pan). 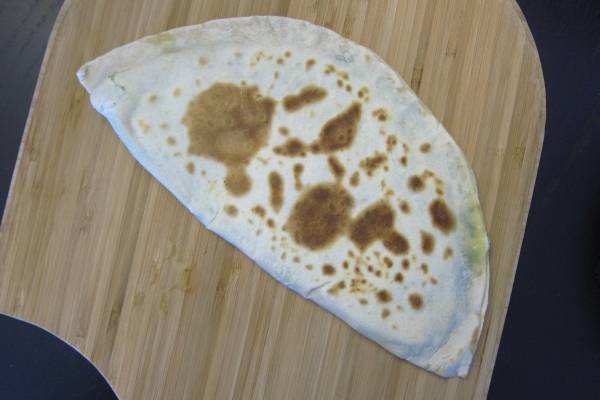 The filling can be vegetables, cheese, and/or meat; I made mine with cheese and realized how similar it was (at least in concept) to a quesadilla. This recipe is from Abdulaziz Salavat, video here ( in Russian ). 1. 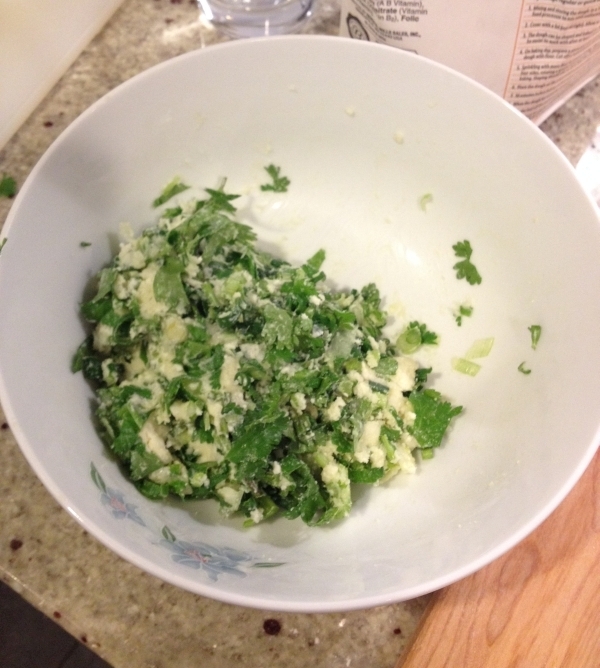 Make your filling: mix the cheese, greens, and some oil together in a bowl. 2. Make a dough of flour, water, salt, and oil. 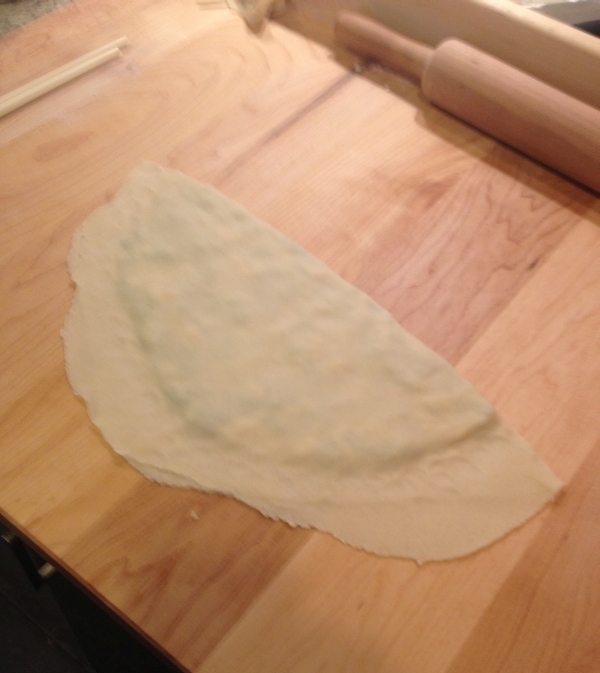 It will be easier to roll out the dough if you let it rest for a bit (30min-1hr, covered so it doesn’t dry out). No need if you’re in a hurry, though. 3. 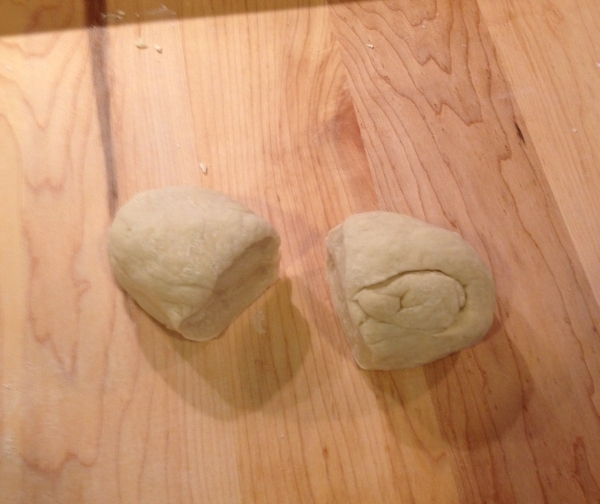 Break the dough into small pieces as above. 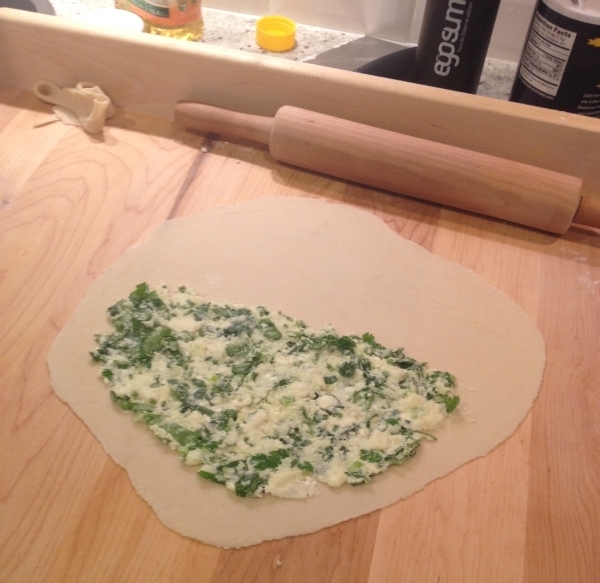 Lightly oil a piece, then roll it as flat and wide as you can. It should be almost paper-thin and slightly translucent when it is thin enough. 4. Spread the filling on one half. 5. 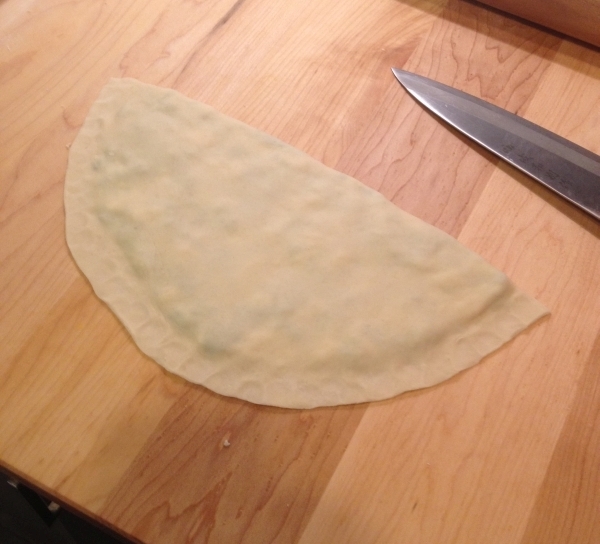 Fold the dough over and press hard around the filling so the dough seals. 6. 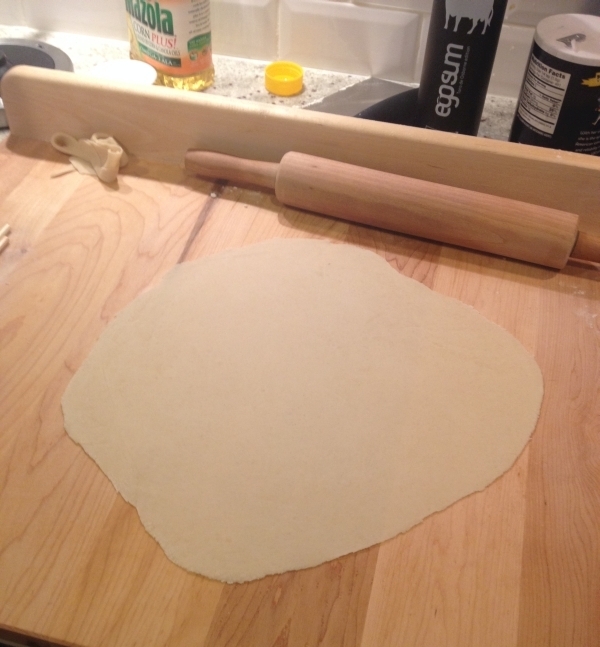 Cut a nice round shape out of the dough. 7. In a frying pan or on a griddle, grill the kutab on medium heat until the bottom has golden brown spots (should take 3-5 minutes). Flip the kutab over. 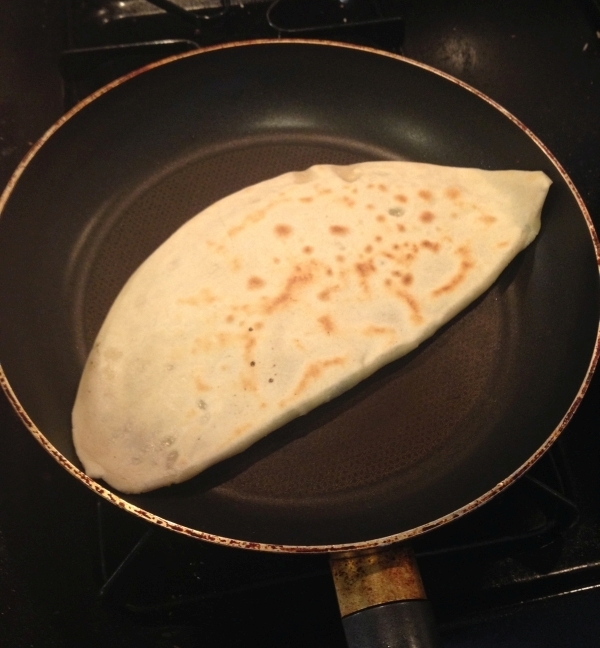 The other side will get done much more quickly, so be attentive – after 1-2 minutes it should be nice and golden brown. Eat by itself, or with melted butter, sour cream, or yogurt. Enjoy!